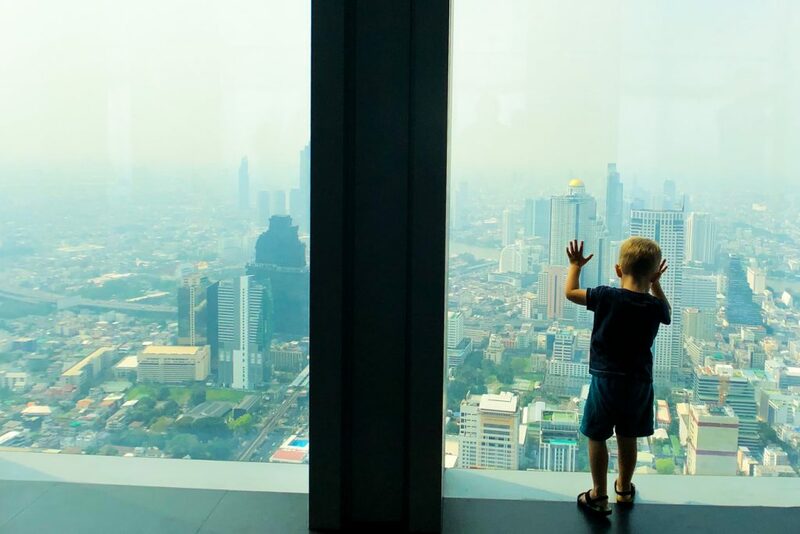 Bangkok is not a place where you would think to go with your child. 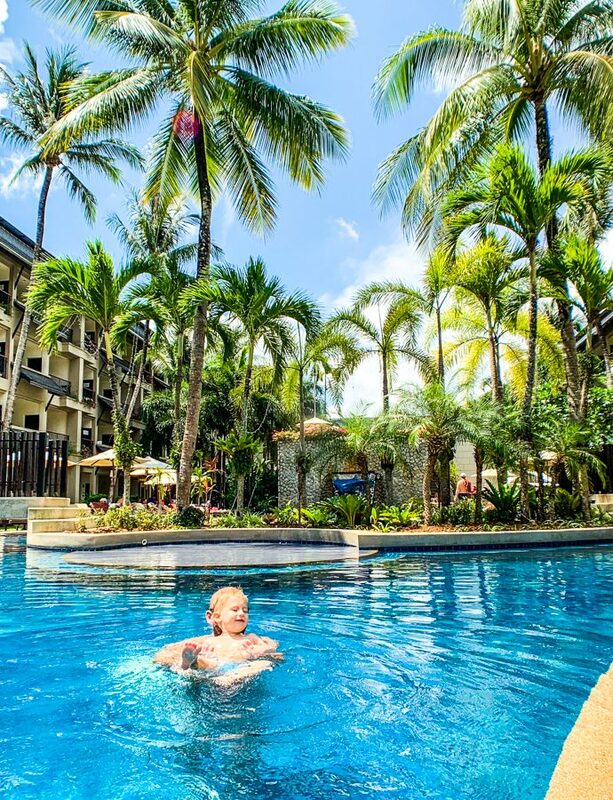 But as we consider any destination can be child friendly if you are flexible enough, we included it on our sabbatical year itinerary. In Bangkok, we also met some dear friends that we haven’t seen in a while. 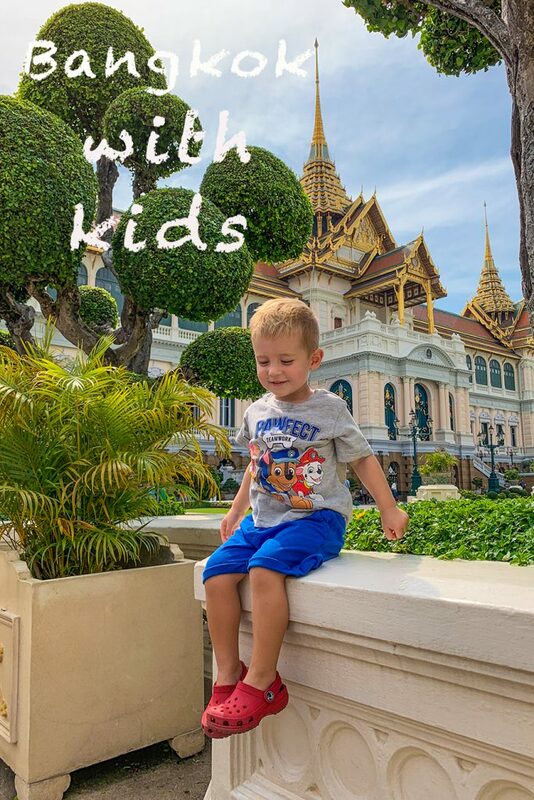 Since one of them was born and raised in there, she helped to select the best sights and activities for our stay in Bangkok with a toddler. Bangkok is not at all the crazy city you see in movies. Yes, it is crowded and noisy, but how can else could it be considering its over 8 million citizens! 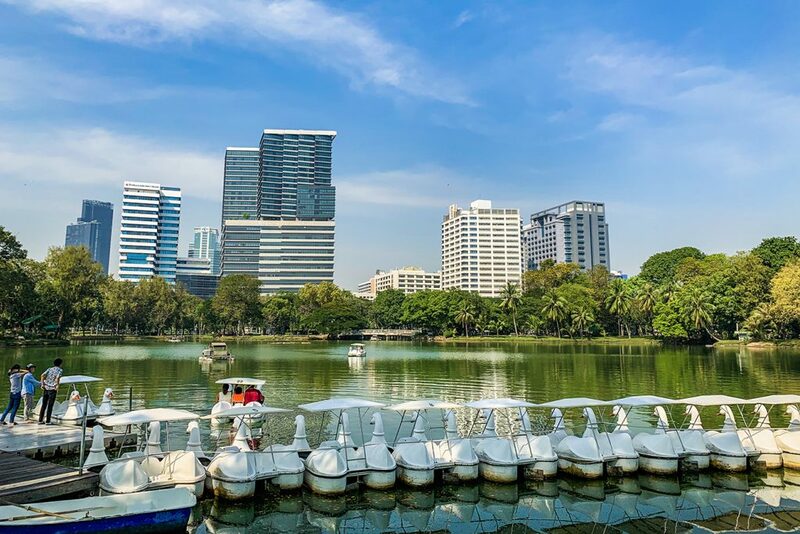 We were recommended to chose a hotel in Silom or Sukhumvit areas, as they offer a good mix of restaurants and activities and are very well connected with most of the sights you might plan to see. In the end we booked a hotel around the Central Station, just minutes away from the metro station. 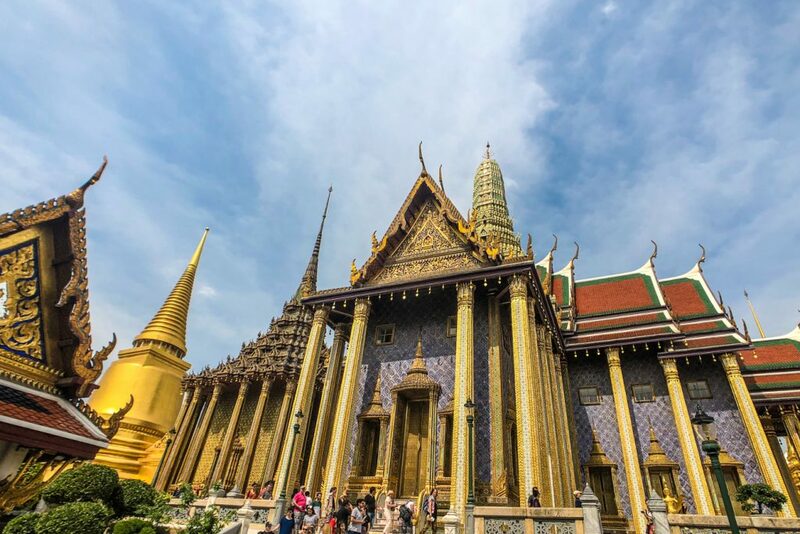 Honestly, being close to the metro is the most important aspect if you plan to visit Bangkok. The weather is very hot, so we were not feeling like walking a lot, especially since we were in Bangkok with a young child. We were in visiting around Christmas and the average temperature was over 30 degrees Celsius. Still, it was not extremely humid in this period, like I heard to be in the summer months. Public transportation in Bangkok is very well organized, just the old city is not accessible this way. 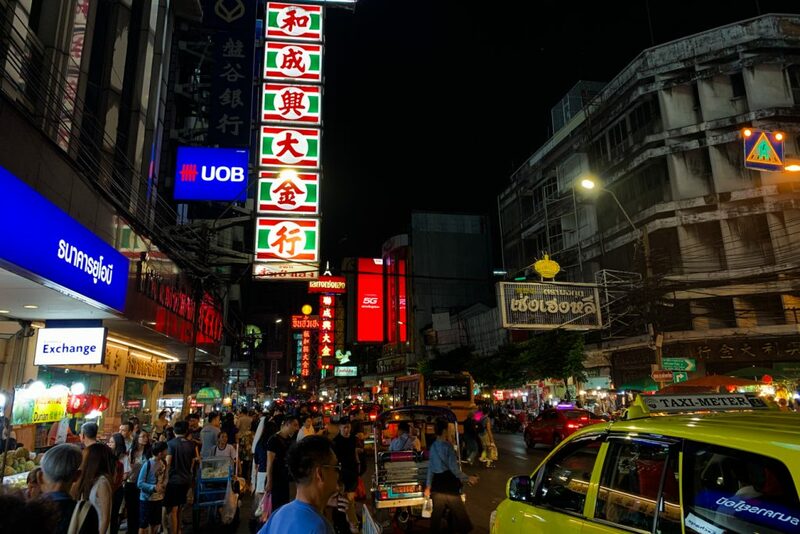 But you can also get a Grab, the local version of Uber; the prices as quite reasonable and using the App you’ll avoid all the bargaining or being overcharged, which is pretty common in touristic locations. Just expect high traffic, especially during peak times. If you need to go to the airport in the morning or early afternoon don’t just assume how long it should take and ask at your hotel for advice. It took us almost 2 hours to get to the hotel when we arrived, early morning, but only about 30 minutes when we left, on a Saturday evening. 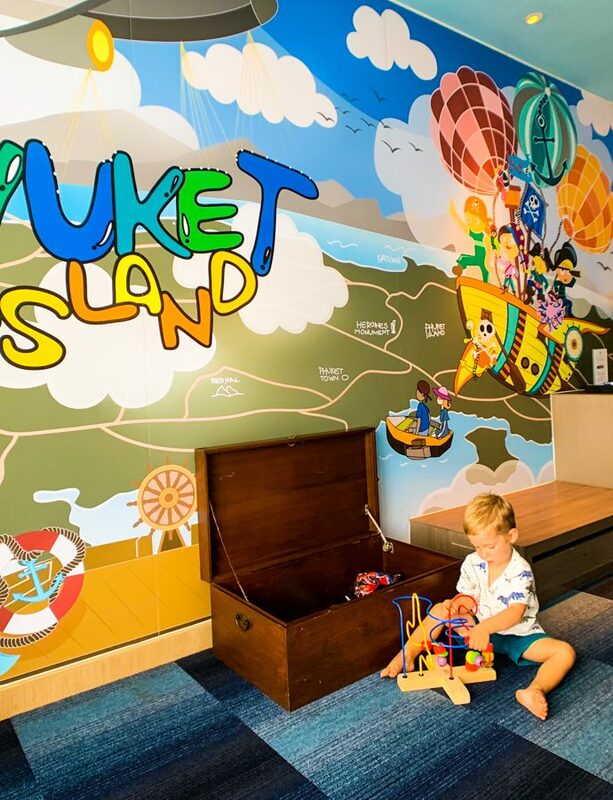 As we were in Bangkok with a toddler, finding a playground was our top priority. Luckily Lumphini park was just a quick metro ride away from our hotel, so we visited a few times. Lumphini is a large park, a very welcomed green retreat in the middle of a concrete jungle. It has a very nice playground and each time we’ve been there it was full of kids of various nations and races. It is so nice to see as the little ones interact and play together even if they don’t speak the same language! There is also a lake in the middle of Lumphini Park, but the sun was too strong for us to take a boat trip around it. 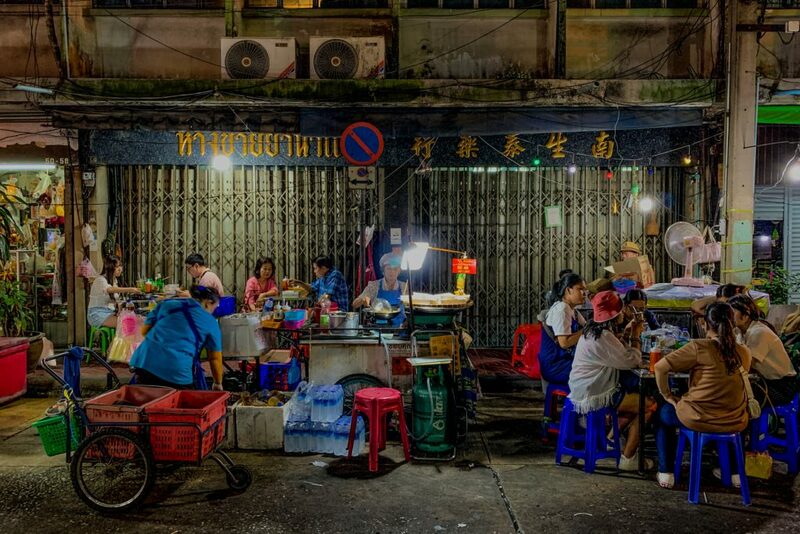 We couldn’t visit Bangkok without a street food experience. Luckily, our Thai friends planned this for us so we didn’t have to worry about where to go and what to order. 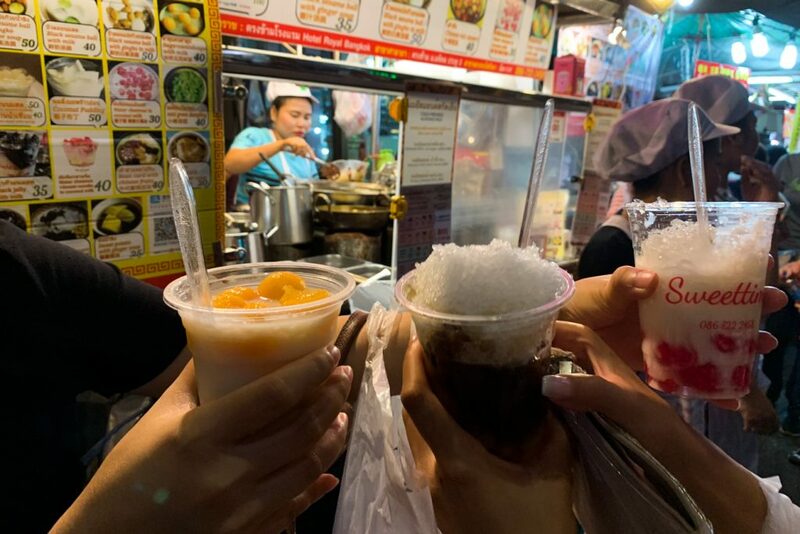 It was a great evening for all of us, a proof that even if you visit Bangkok with a kid you can still enjoy the local night markets. 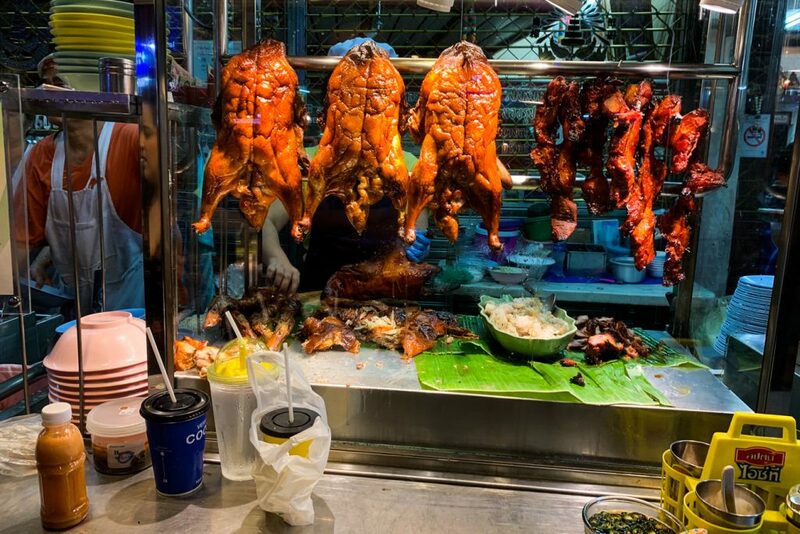 Chinatown is the best place to try street food in Bangkok. 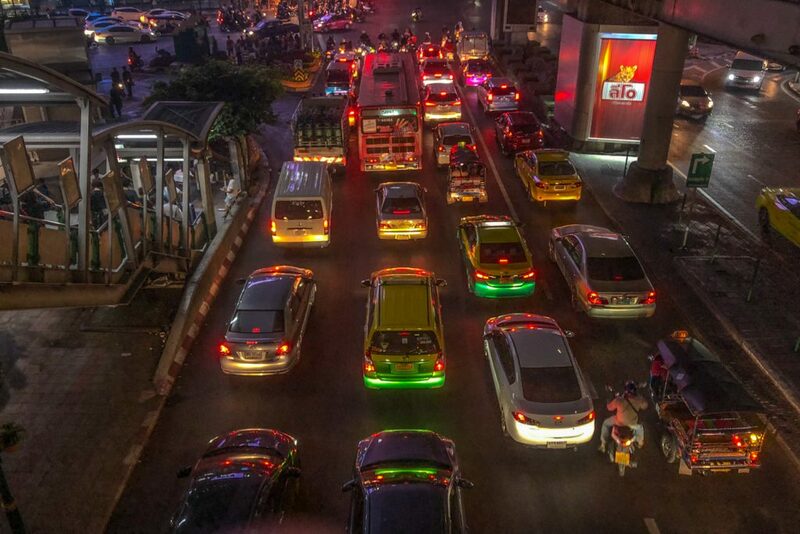 The whole Yaowarat road becomes a totally different place as soon as the sun goes down. Hundreds of food stalls and carts, plus restaurants and tiny improvised terraces are displayed on both sides of the street. It is a real food frenzy! 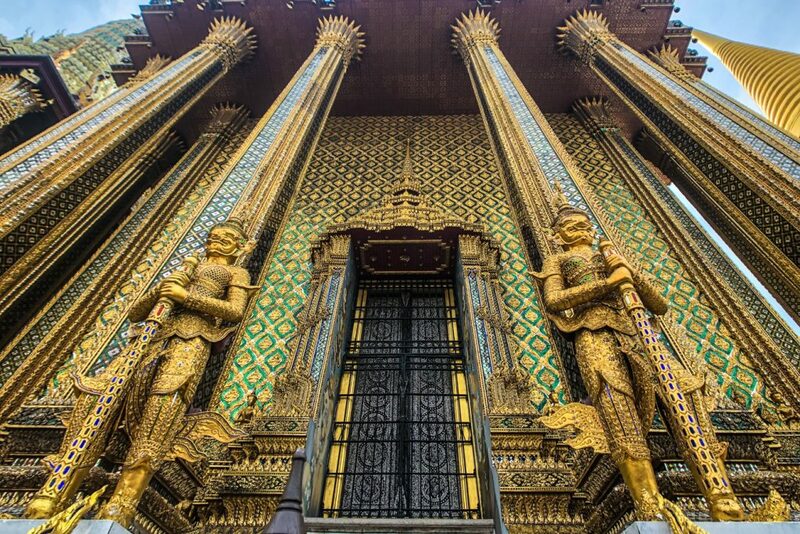 If you vists Bangkok, you must see it, or even better taste it yourself to understand. I can say now that food in Thai restaurants in Europe is just a pale copy of the authentic one. Also, we are looking forward to a future trip to Thailand, for even more delicious meals. I heard so many options that food can be problematic in Bangkok and that it is very difficult to find familiar choices for kids. I was a bit concerned, even though Eric was never a picky eater. But after spending just one day in Bangkok I realized there was nothing to worry about. Of course most of the restaurants and all the street food options are local. This wasn’t a problem for us, as I think Thai food is one of the best we’ve had. Eric was a bit reluctant at first, but he ate most of the dishes he tried. 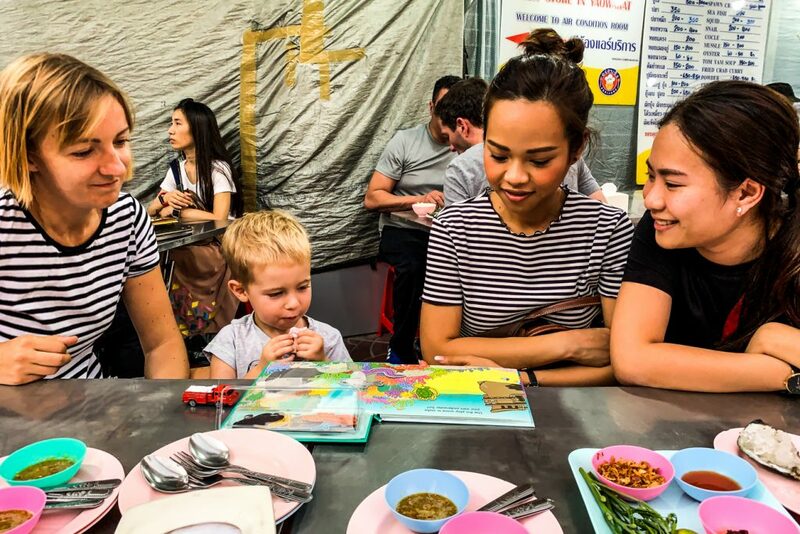 Even though he was willing to eat pad-thai or mango sticky rice for each meal, we had to look for international food options to maintain a nutritious balance. From pizza, pasta, cream soups or pancakes, you can find any food you like for your kid, just like in Europe. There are international restaurants in large shopping malls or in the touristic areas, just a quick search on TripAdvisor and you’ll find enough options. 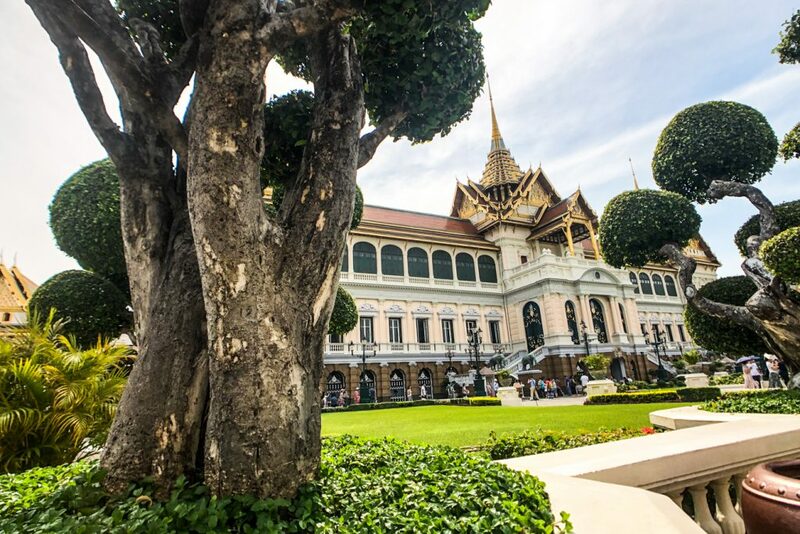 We couldn’t visit Bangkok without going to the Grand Palace, the center of the Kingdom of Siam, and then Thailand, since 1782. We were impressed by the architecture and learned a lot of history too. The complex contains various buildings, some of them still used for administrative or ceremonial purposes, while others are museums and touristic attractions. 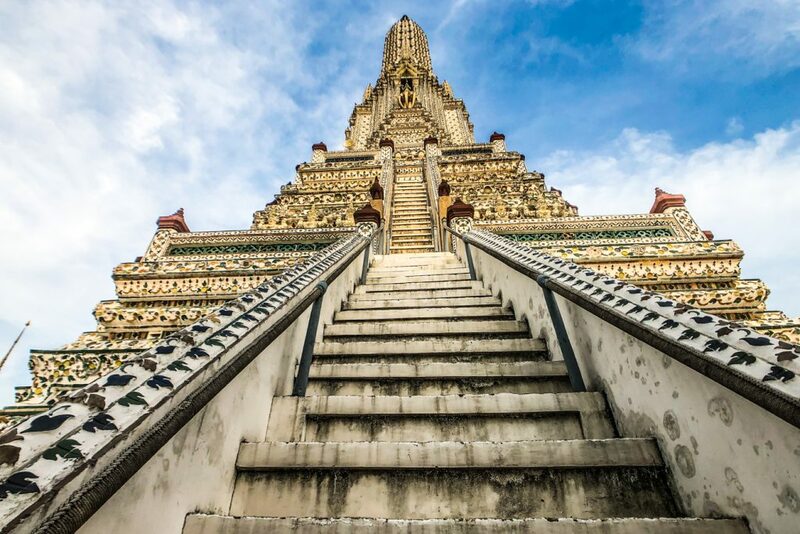 The most impressive is the Temple of the Emerald Buddha (Wat Phra Kaew), Thailand’s most sacred place. It hosts a statue of Buddha in a meditating position carved in a single block of jade and dating from the XVth century. The robes of the statue are changed depending on the season, and this is a very important ritual in the Buddhist calendar. 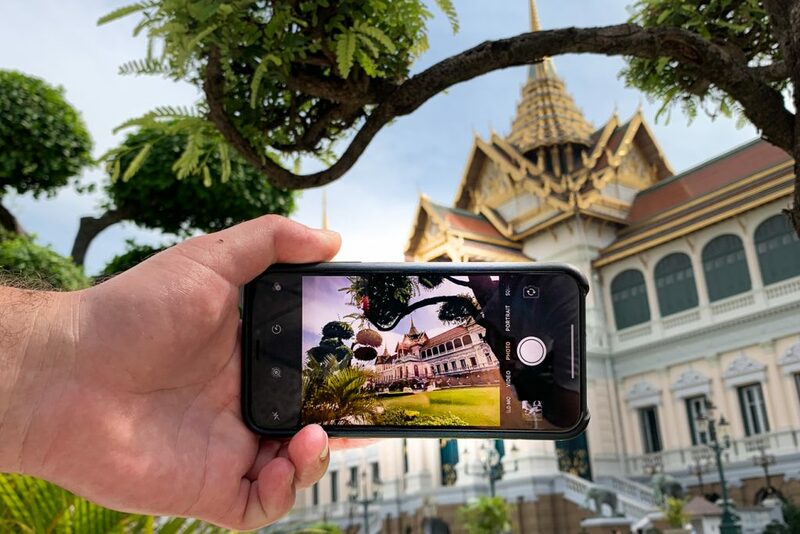 When you visit Bangkok’s Grand Palace, expect it to be extremely hot and crowded, but this shouldn’t ruin your experience. Also, make sure you follow the dress code, as they are very strict. Long pants and no sleeveless shirts are required for both men and women. We bought the typical “elephant pants”, but there is also the option to rent a pair or a sarong. 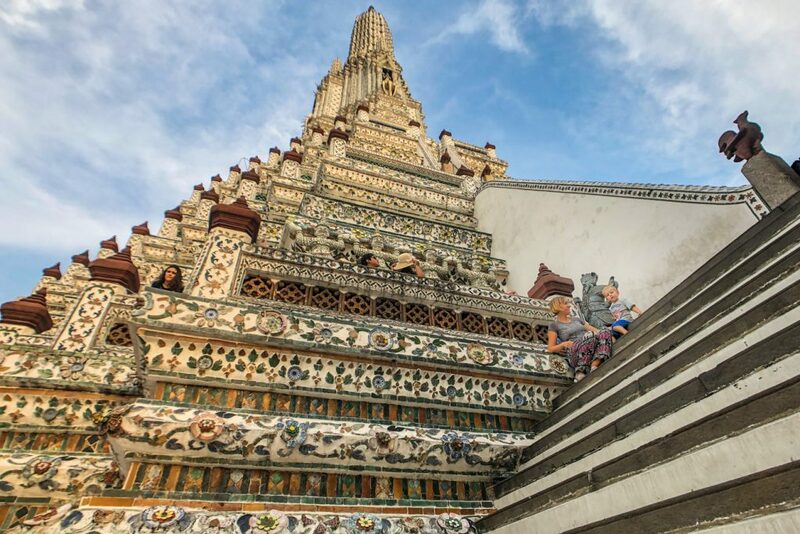 The Temple of the Dawn (Wat Arun) was one of the most impressive temples we’ve seen. We were quite tired when we visited, but still enjoyed it a lot. It is quite close to the Grand Palace, we just had to cross Chao Phraya river by boat. So you can easily visit both sights in the same day, with a stop for lunch in between. You’ll find plenty of tasty options, for every budget. After visiting historical and religious place for a whole day, we needed to switch to something modern too. 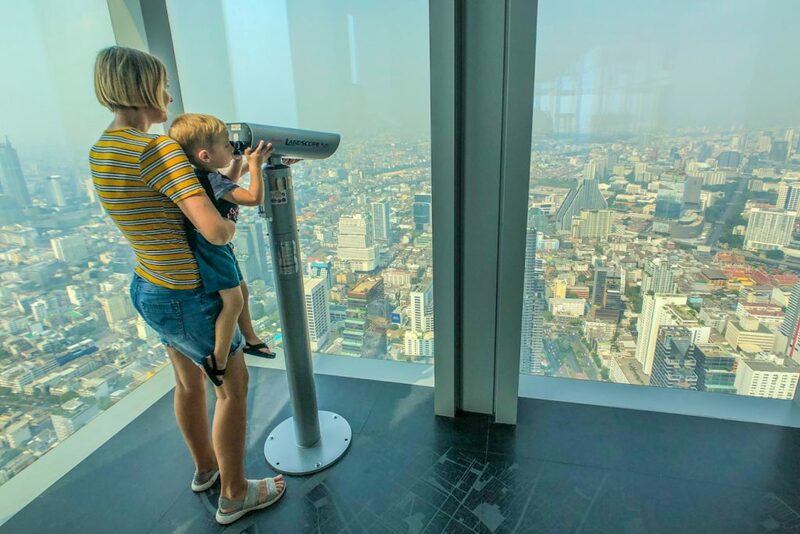 Mahanakhon Tower, located in Silom district, is the second tallest building in Thailand. We went up to the observation deck at 314m and walked on the World’s Largest Glass Tray at the 78th floor. This proved to be extremely fun for Eric. He didn’t seem afraid about the heights, he is probably too young for that. 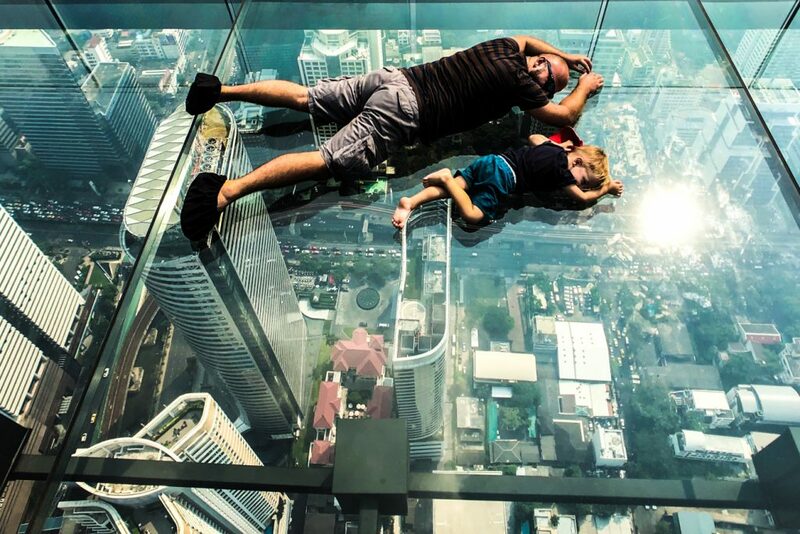 He actually enjoyed walking on the glass floor, the only problem was that it was a bit too hot. 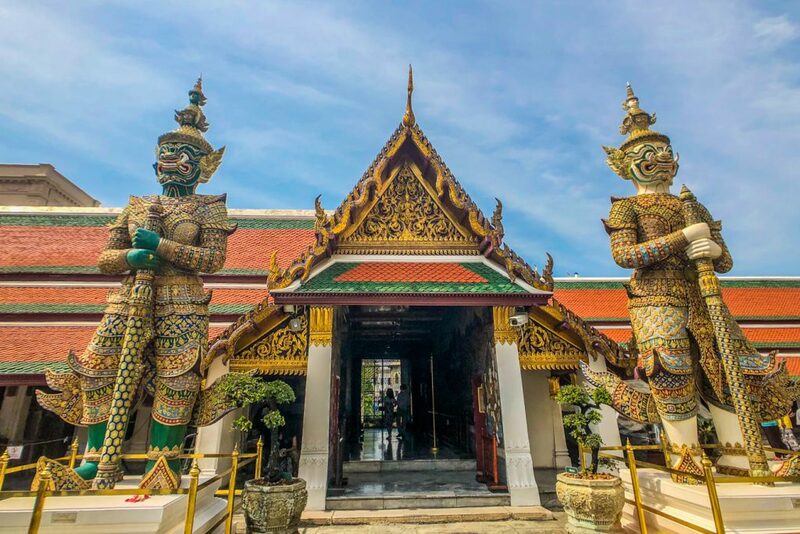 We also wanted to visit the Temple of the Reclining Buddha (Wat Pho) and take a traditional Thai massage. Unfortunately it was just not enough time to do everything. 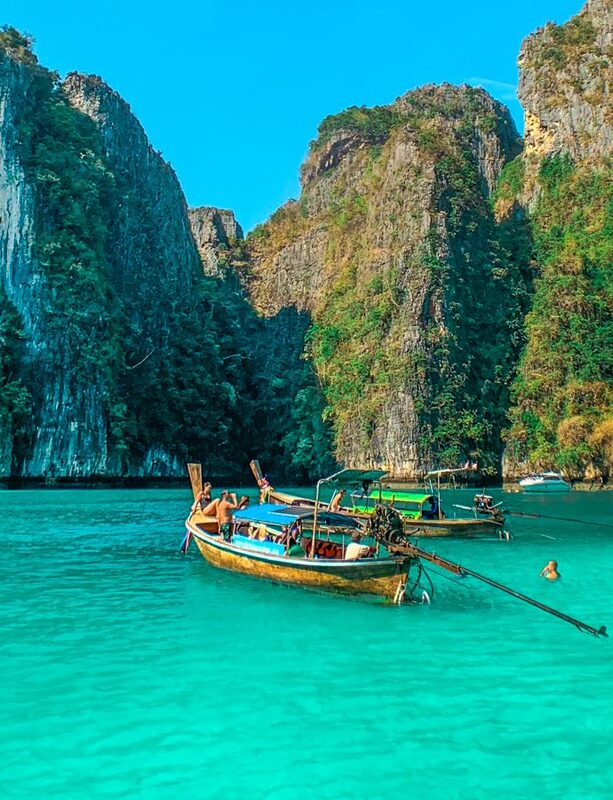 We plan to return to Thailand anyway, so this is just postponed for a future trip to Bangkok. 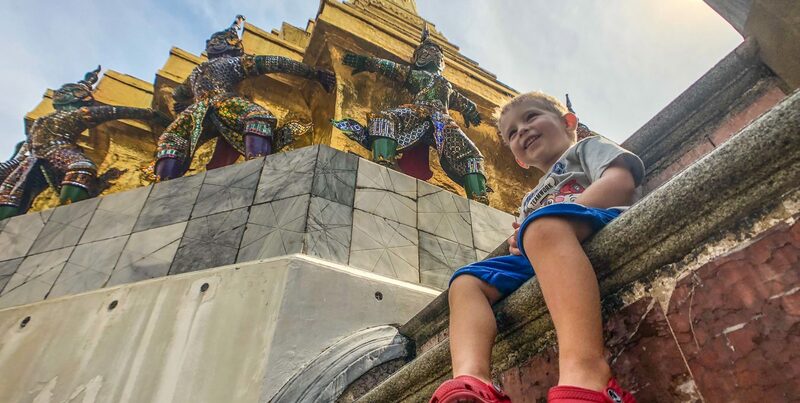 So cool for a kid to visit Bangkok and experience such a vibrant city at such a young age! I’m so glad I’ve read your post. 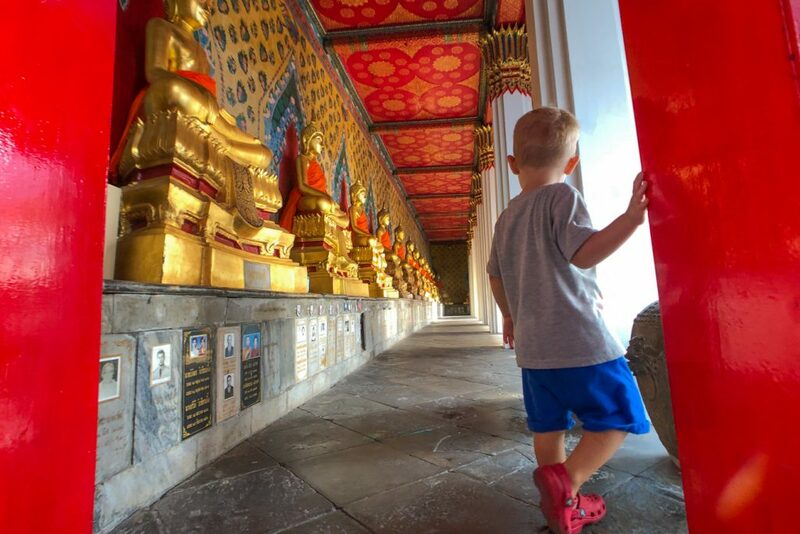 We’re visiting Bangkok in April for the first time and I’m starting to think we’d be better off hiring a guide as we’re travelling with our 5yo son. We’re excited but a bit apprehensive too.